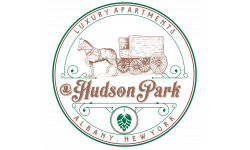 @HudsonPark offers luxurious studio and one-bedroom apartments designed for a live-work-play lifestyle in downtown Albany. Walk to work or take advantage of the resident co-working space on site. After work, meet friends at one of the many restaurants, shops, or nightlife destinations on Lark Street and Delaware Avenue. Or soak up some culture at the nearby New York State Museum, Albany Institute of History & Art, and Palace Theater. Active residents can take advantage of the modern fitness room and secure bicycle storage. When feeling social, residents can mingle in the sunlit courtyard or community lounge. Pet owners will appreciate the pet-friendly apartments with private entrances and the pet grooming center on-site. 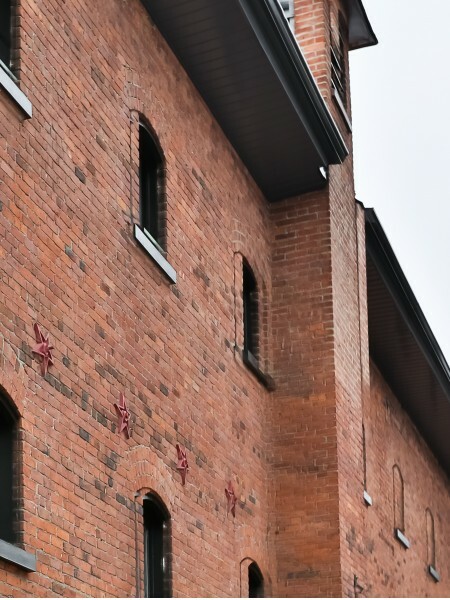 Once a brewery’s carriage house and bottling plant, @Hudson Park maintains historic character while housing modern apartments and amenities. Layouts are unique; some have Murphy beds that convert to a couch, others have spiral staircases leading to a loft. All apartments offer modern kitchens with quartz countertops and stainless-steel appliances. Whether your home search centers around the convenience of being in downtown Albany or luxurious apartment features, @HudsonPark provides the perfect mix of amenities for your lifestyle. Amenities include a heated courtyard, resident co-working space, a fitness center, laundry facilities on each floor, quartz countertops, and stainless appliances. One pet per apartment. A cat is allowed in all apartments. A dog is allowed in apartments that has a private entrance directly to the outside. All pets are subject to approval by management and a "meet and greet" may be requested prior to approval. No aggressive dog breeds are permitted. Residents will need to produce pet vaccinations and renters insurance. Please call for further details. @HudsonPark is a non-smoking property where smoking is not allowed in the buildings, apartments or on the balconies/patios.